Anna Lois Kaffenberger, age 82 of Beardstown, passed away Monday, September 24, 2018 at Passavant Area Hospital in Jacksonville. She was born April 7, 1936 in Salem, the daughter of Lyndle and Florine Fowler Baker. She married Joseph H. Kaffenberger on December 17, 1955 at First Evangelical Lutheran Church in Beardstown, and he preceded her in death on September 23, 1997. 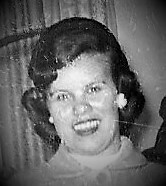 She is survived by her children Joseph W. Kaffenberger of Beardstown, Duncan E. Kaffenberger of Beardstown, Jeffrey L. (wife Melissa) Kaffenberger of Chapin, and Jody A. (husband Jon) Vredenburgh of Beardstown; eight grandchildren Mike, Adam, Christopher, Bethany, Isaac, Hannah, Shiloh, and Thomas; two great grandchildren Aaron T. and Scarlett J. Vredenburgh; two sisters Mrs. Sue (Jerry) Hobson and Mrs. Sharon (Lynn) Freeman both of Griggsville; and one brother Bruce (Linda) Baker of Beardstown. She was preceded in death by her parents, a sister Dottie Miller, and a brother Ronnie Baker. Mrs. Kaffenberger traveled with her husband during his time with the United States Army, living in Fort Worth, TX and Sault Sainte Marie, MI, until finally making their home in Beardstown. Anna was a loving mother and grandmother, always doing whatever she could for her family. Her only hobby was watching her soap operas and the news…never missed a day. A graveside memorial service will be held at 3 PM Sunday, September 30, 2018 at the Beardstown City Cemetery with Pastor Matthew Haberman officiating. The family will meet with friends from 2-2:45 PM at Colwell Memorial Home in Beardstown. 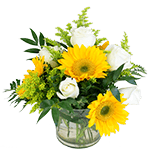 Memorials have been suggested to the charity of your choice. 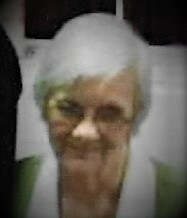 Condolences may be left online at www.colwellmemorialhome.com or on Facebook at Colwell Memorial Home.